As an outdoor photographer, I spend a lot of time outside. I even enjoy spending time in nature when I’m not taking pictures. Like many of you, my family and I like to go for walks or hikes and we like to camp. We simply enjoy the beauty of nature and spending time there. When I am outside I often bring along my Bible and a journal to reflect about God. As a result, I have learned that God speaks to us through His creation and the creation speaks to us about God. 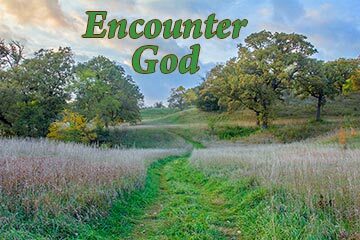 Not only is the quiet of nature a great place to meet God, but nature also tells us things about God. It reveals some of His divine attributes to us. Nature makes for a great place to read God’s word and spend time in devotion with Him. 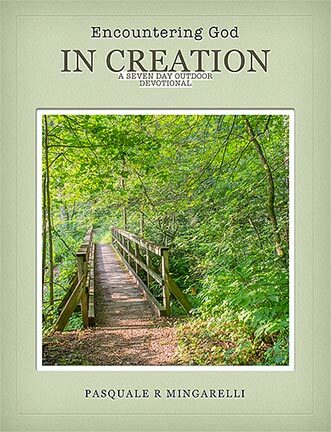 May this short creation devotional help you discover God in His creation as I have. My prayer is that you may know Him deeper as a result of using this devotional. Click to download Encountering God in Creation, a seven-day devotional. You can also subscribe The Visual Bible Verse of the Day site for encouragement from God in the outdoors all year. May you find great strength in the strength of our Creator!